Spicy Fried Chicken Sandwich from Momofuku now available at Lincoln Financial Field. As the Philadelphia Eagles move up in the world, the fan experience goes up with them. Stadium concession provider Aramark revealed Thursday that the company is partnering with top chef David Chang's Momofuku to bring fried chicken selections to Lincoln Financial Field this season. The partnership now brings three menu items from New York City restaurant Fuku to the Linc, beginning with Thursday night's preseason game against the Pittsburgh Steelers. Spicy Fried Chicken Sandwich: Habanero-brined thigh served on a Martin’s potato roll and garnished with pickles and butter. Fuku Fingers and Fries: crispy chicken breast paired with sweet jalapeño-seasoned fries; choice of housemade honey mustard or ranch. Fries tossed in sweet jalapeño seasoning. 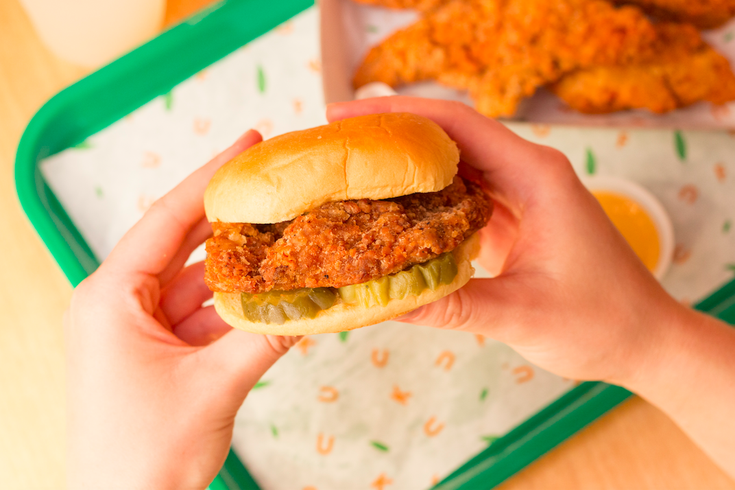 Fuku originally launched as a fried chicken stand in Manhattan in 2015, growing to several other locations before landing at several professional sports stadiums. Chang's Momofuku Group umbrella has restaurants in New York, Las Vegas, Los Angeles, Toronto, Sydney and Washington, D.C.